Wayfindr tested, developed and stimulated new digital navigation apps, which empowered vision impaired citizens to independently navigate London using their smartphone, using an Open Standard designed by experts and vision impaired users. Working with London Underground, they were able to make existing beacon data accessible to developers for creating new digital navigation apps for indoor environments. The experiment opened up unmapped public spaces, such as London Underground, shopping malls and hospitals. Vision-impaired users discussing ideas with hackathon teams. WalkPal, the winning hackathon team. 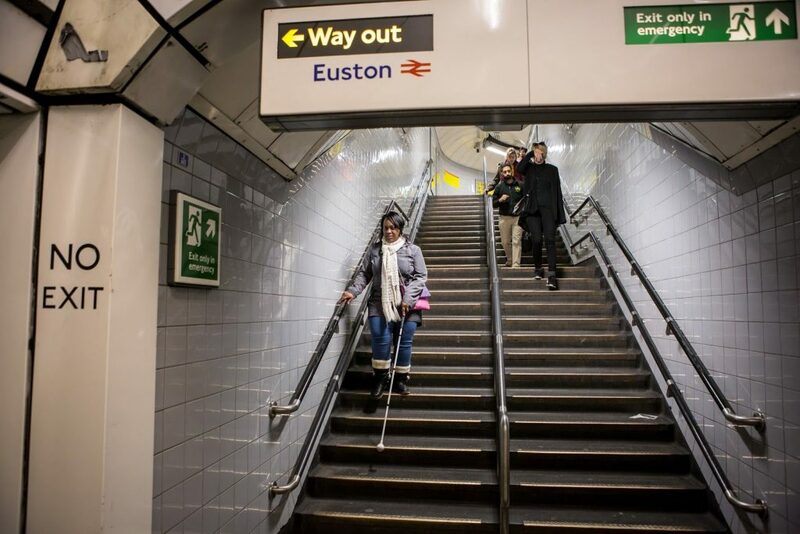 Wayfindr in action, testing the prototype at Euston underground station. 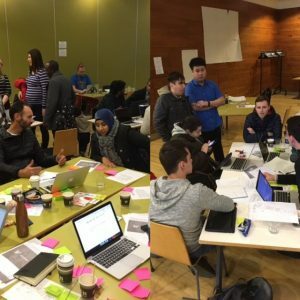 The five teams participating in the hackathon came up with a wide range of ideas, tackling the challenge of independent travel in different ways. The main lesson all teams took away, and which was aptly demonstrated by our winners, was the importance of user-centred design when developing solutions for people with vision impairment. 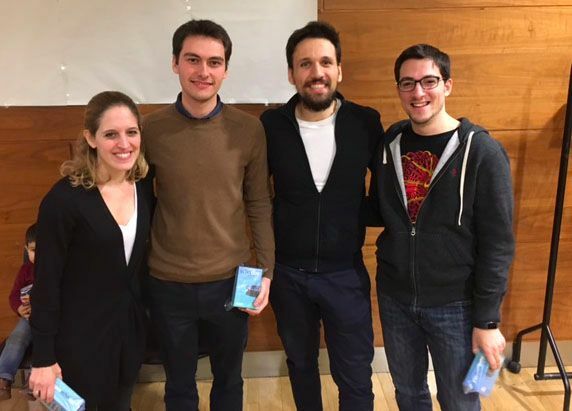 The winning team, WalkPal, designed their solution around this principle and took advantage of the expertise of some vision-impaired commuters who came to the hackathon to share their experiences. What Happened & What’s next? Accessibility Award Winner at the Tech 4 Good Awards (2016). Innovation Award Winner at the Vision Pioneer Awards (2016). The Smart Places, Digital Agenda Winner at the Impact Awards (2017). Winner of the Mobile World Capital d-Lab tech challenge, Empowering People with Disabilities through Mobile Technologies (2017).